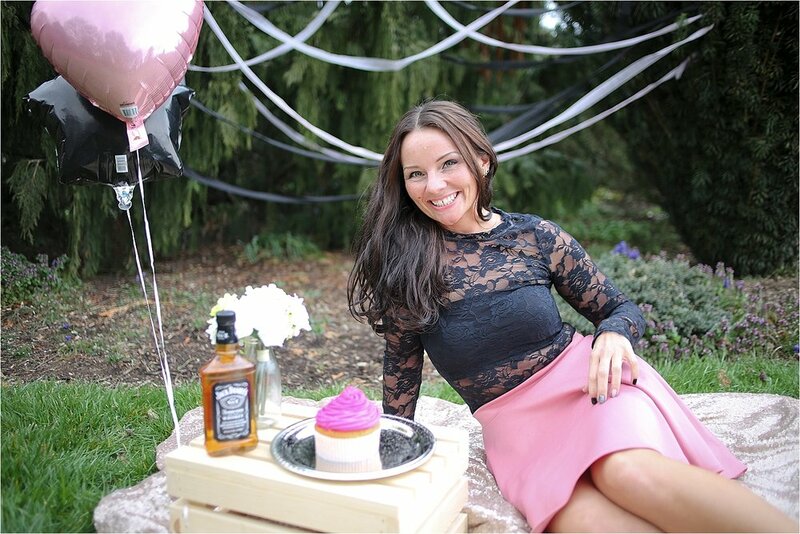 Quite a few folks have joked around with me about taking 30th birthday cake smash photos, but none every followed through… until Leigh Ann came along, and we got to get CRAZY silly at Hahn Horticulture Garden for hers! 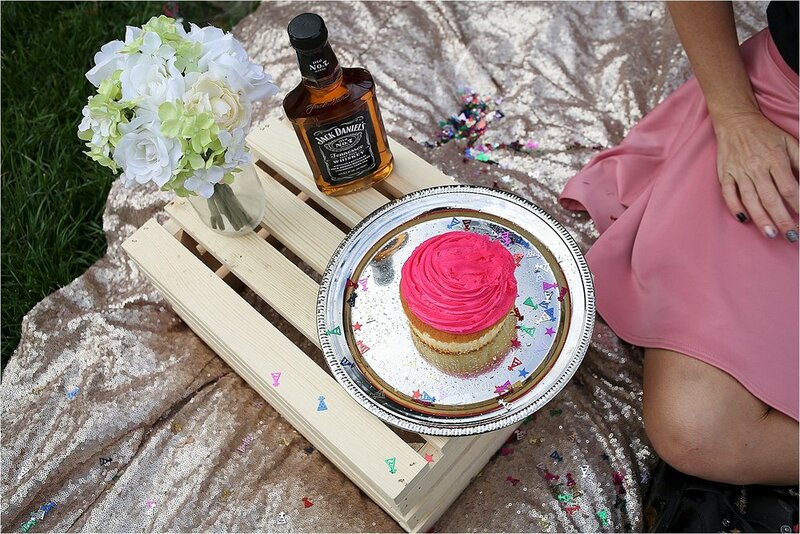 We rolled out the sequins, streamers, confetti, a giant hot pink cupcake, balloons, combat boots, and Jack Daniels – you know the regular ol’ birthday cake smash gear. 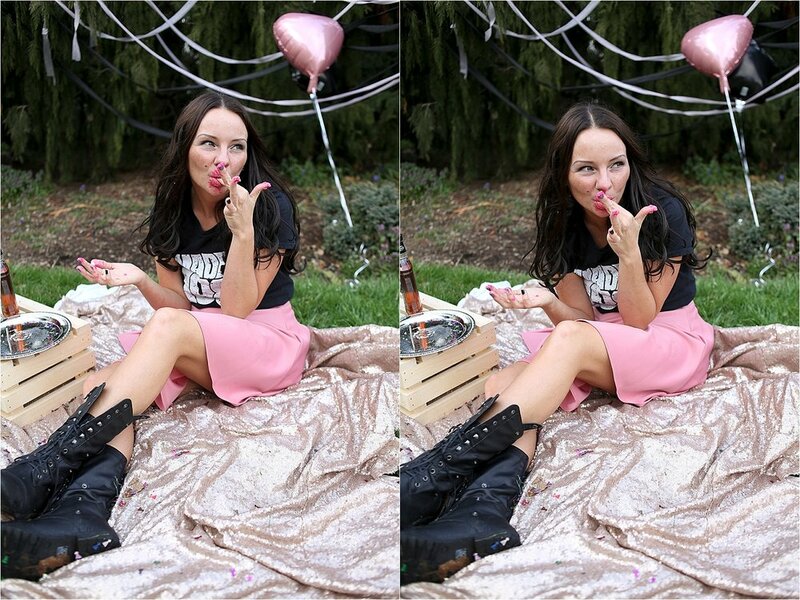 PPS: Never take yourself so seriously that you wouldn’t smash a giant hot pink cupcake on your face in the middle of a public place while rolling around on a pink sequined tablecloth.